Your source for online sweepstakes! Do you like coffee? 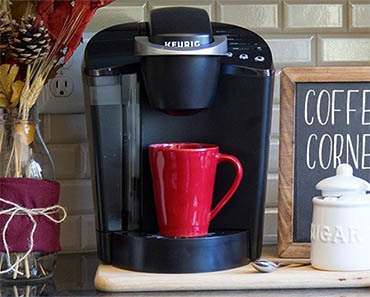 Enter for your chance to WIN a Keurig K55 Single Brew Coffee Maker today! Void where prohibited by law. No purchase necessary! Come by and enter today! You might be my next winner…….. I am honored to be hosting my first giveaway on my blog on Mommy Enterprises. Now I have been entering many different giveaways and done my own product reviews, just have never had my own giveaway until now. I have also been winning giveaways I have entered. I am returning the favor by now offering my readers a way to WIN! I am giving away a gift set of Piggy Paint to one of my lucky readers. To enter, you just have to leave your favorite color of Piggy Paint on my blog in a comment. It will only take a minute or so! What is Piggy Paint? It is some really neat nail polish you will love if you paint your nails or have daughters that like to paint their nails. This stuff is water based, NON TOXIC and does not have a smell. I am in love with this stuff as well as my daughter Hannah. She is showing her nail polish job I did on her at preschool today. You have until January 22, 2009 to enter! This giveaway ends Thursday, December 18 at midnight (CST)!